Designed for use in today's home theater and gaming rooms, the Cineplex is the perfect combination of quality and convenience. Consumer Friendly 4oz. 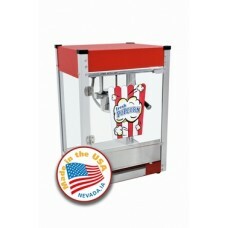 Popcorn Machine!Pops 92 one-ounce servings per hourBrilliant textured color finish featuring a pitted, powder coat material treatment that is all the rage in high-end home accents.Designed with the home user in mind we placed the cord in the back and the graphics and storage door facing the operator. No brainers that make this a great consumer product! High Output, hard coat anodized aluminum kettle and easy to clean. Plus stainless steel food zone and tempered glass panels, an Old Maid Drawer and a built in warming deck. 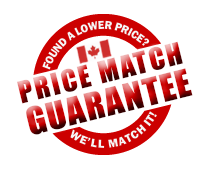 We are an AUTHORIZED CANADIAN DEALER located in CANADA in CANADIAN DOLLARS, DUTY FREE, NO CUSTOM FEES or BIG SHIPPING FEES.